The Columbus Saints received devastating news this morning that the trailer which stored our instruments and equipment was stolen from the United Faith International Church parking lot where it was locked, and secured. We are working with the Mifflin Township Police Department to recover the instruments and trailer but also encourage our friends, followers, supporters, and alumni to spread the word of this incident. In the meantime, we are hopeful but disheartened. The Columbus Saints offers affordable performing arts education and performance opportunities for young people throughout central Ohio. Last season, we performed at Sunbury Fourth of July Parade, Dublin St. Patrick’s Day Parade, and offered day clinics for Color Guard and Drumline. Although we have liability insurance, the time to process and costs of new equipment may not allow us to recover fully. The theft of this trailer is a devasting blow to the program and the opportunities we provide. 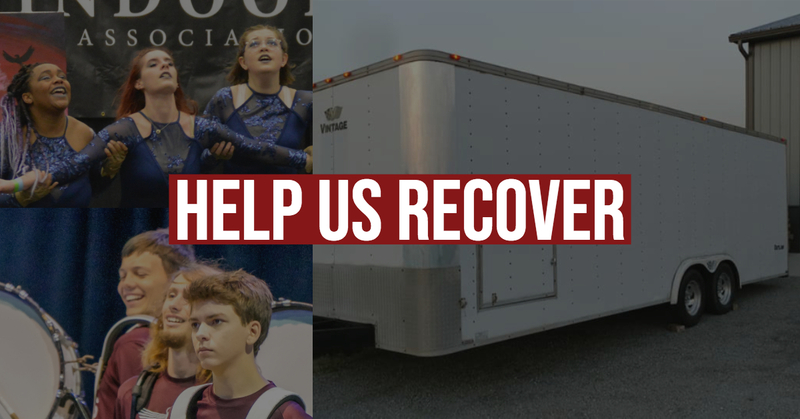 With your support, we can recover quickly from this loss, and continue to provide affordable arts education and performance opportunities through our community. Consider a donation of funds, or in-kind to help us recover and continue our community programming.